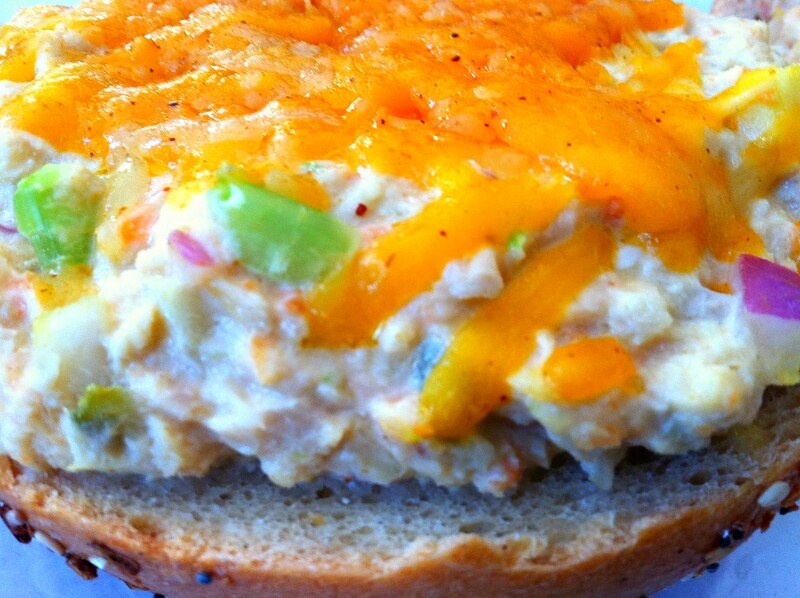 mexican tuna melts – ugly food tastes better. So after CSA pickup on Saturday, I was staaaarving. I got up early to go to pickup and had my usual “cup of coffee” breakfast (I know, i know) and then by the time I made it home I was ravenous. As I was cleaning and putting away my CSA veggies, they looked so good that I just started peeling and dicing things, tasting them and tossing them in a bowl. 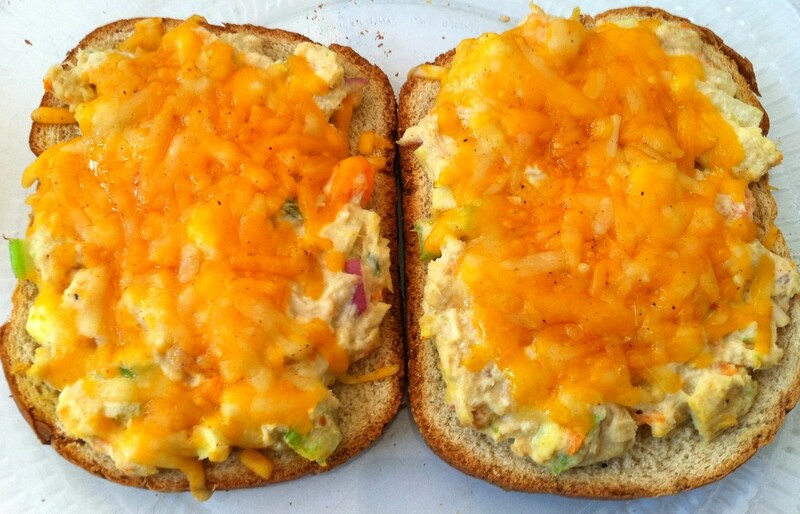 This ended up turning in to Mexican tuna melts. Since I knew I had a very unhealthy dinner party in my future, and because I am trying to cut mayo from my diet, I made this with reduced fat sour cream, which I now know is delicious, and I encourage you to try it. I imagine yogurt would work as well, and then you could do an Indian or Greek inspired tuna salad. Next time. 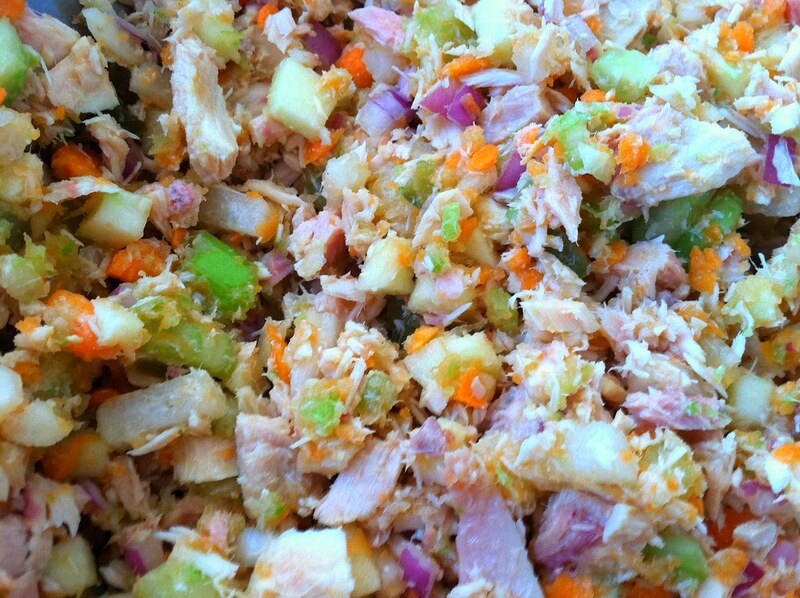 I also like for my tuna salad to be equal oarts vegetable and fish, so keep that in mind when following my recipe. 3 TB of Valentina hot sauce, or your favorite smoky hot sauce or taco sauce. Ordinarily I dice all the veggies evenly, but The Bee thinks he hates celery, but celery doesn’t really taste like much, so usually people who hate it just have a problem with the texture. So i cut up 4 stalks and then threw them in the Magic Bullet and pureed them, along with one of the carrots out of sheer blending pleasure, and the need to rationalize getting something else dirty. First I cut and mixed all the veggies, because i didnt want the apple to have a window in which to brown. So purty. Then I mixed in the apples, fish, jalepenos, lemon juice and garlic. I would have used more jalepenos, except a friend of mine canned these particular ones, and they are FIRE BOMBS. I dont know what he did, but its fairly ridiculous. In a good way. I have one of those syringe-style measuring tools for creamy or sticky things, and i love it because you always know you have the exact correct amount, and no wastage. But as that kind of efficient, wasteless person, I couldn’t let the extra 2 spoonfuls of sour cream stay in the container so it went in too, along with the mustard and hot sauce. Miiiiiiiiix and spread – toasted wheat bread for me, an everything bagel for The Bee, and cover each with a sprinkle of cheese, put in the oven until the cheese melts, and in my case, douse with more hot sauce, and devour. Consensus – AMAZING. 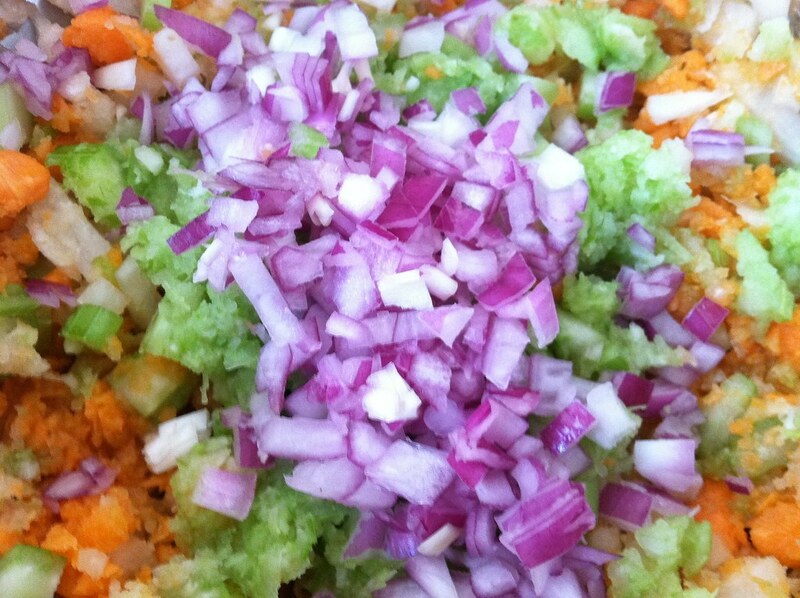 Fresh vegetables are just the best, nice and raw and in all their natural glory. As for The Green Bee’s comments – “Its reeeeeally good. 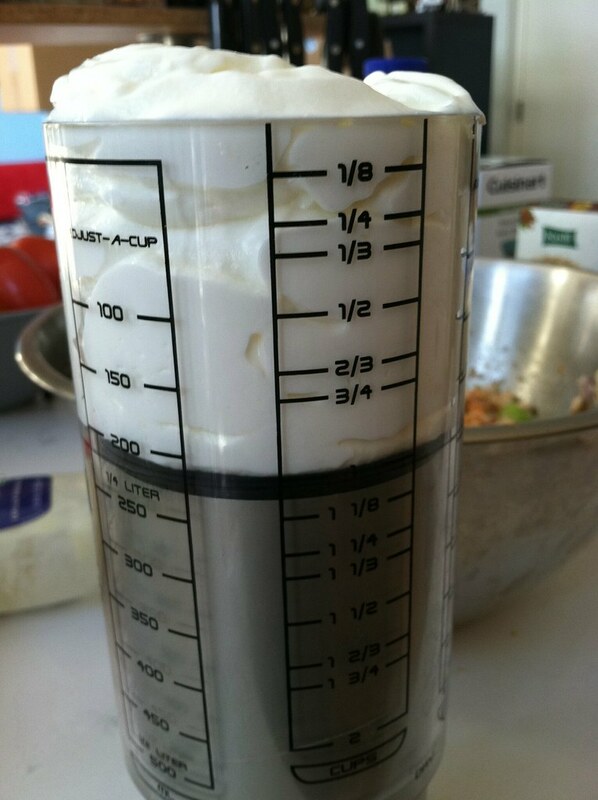 I think it should be a lot creamier (he likes his with a bucket of mayo) but thanks for not putting celery in it” Haha. Sounds & looks so good. Inspiring as well. I see a tuna melt in my future! You are my mother and I am not gonna lie to you. It was the best tuna melt I have ever had. haha.